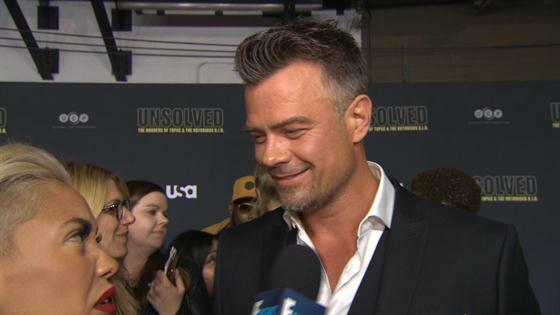 PSA for women who want to date Josh Duhamel: If you're of an advanced reproductive age, or if you're "young" but suffer from infertility, you should probably forget about it. The actor, who shares a 5-year-old son with ex Fergie, talked about what he's looking for in a woman on an episode of Dax Shepard's Armchair Expert podcast, released on Thursday. "I'm not 30 years old anymore," Duhamel said. "I'm 45. I want to have more kids...in the next few years. So it's more about finding someone young enough to have kids?" This means a woman probably needs to be several years younger than Duhamel, who is actually 46 years old. Earlier this year, the actor dated 28-year-old actress Eiza González for several months. "It's not as if I am out there trying to just f--k anything," he continued. "I want to find a girl that I can be with and have a family with. Because, Fergie and I have a great relationship. I love that girl and I always will. Unfortunately, we didn't work, but I will always have her back and she is the mother of my baby." He added, "I like the action, I like the chase, I like all that stuff. I think it's genetic, I think it's primal for us to have that. There's certain people that you see and you just want. It's not always the most beautiful person, people have, there's something that happens and often times, those people that you have that for, don't have it for you." Duhamel and Fergie announced their breakup in September 2017 after eight years of marriage. Fergie told E! News in 2015 that she and Duhamel "negotiated early on to have two kids, because he said he wanted five," and that she told him on their second or third date, "My limit is two.'" After their split, a source had told E! News, "Around a year ago when Fergie was contemplating what was next for her musically, Fergie and Josh were trying to have another baby. At the time, it was made clear that having another baby was a priority for Fergie over anything else regarding her music so she was trying to scale work back. Eventually she was a lot more present in the studio to work on her solo music."